If you are helping an older relative manage health, you can follow these steps on behalf of your relative. But first, let’s review a few key terms related to blood pressure. Systolic blood pressure (SBP): the “top number” when BP is checked. This reflects the pressure in the arteries when the heart squeezes. It’s by far the most important number to consider when it comes to older adults. Diastolic blood pressure (DBP): the “lower number” when BP is checked. This reflects the pressure in the arteries when the heart relaxes. Pulse: the heart rate. Automatic BP monitors report pulse along with BP. Doctors must evaluate a person’s heart rate when considering a change in BP medication. As you can imagine, a key component of optimizing BP management is to measure an older person’s BP and pulse. Evaluate how well people are responding to a treatment plan, whether that plan involves lifestyle changes or medication or both. Measuring BP usually sounds straightforward. People assume it’s just a matter of finding out what the BP was at the doctor’s office, or getting a reading from a home monitor, or maybe even a reading from a health fair or drugstore. But in fact, research has shown that a single office-based BP reading often does not represent a person’s usual BP. One study even found that the “usual” way of measuring BP misdiagnosed 24-32% of volunteers! This is because people are often anxious when at the doctor’s office, which can temporarily raise BP. Studies estimate this “white-coat hypertension” affects 10-20% of people. Furthermore, BP is constantly changing a bit, moment to moment. So experts agree that it’s much better to obtain several readings and average them, in order to properly assess a person’s usual BP. As you can imagine, this is not the way most people’s blood pressure is measured by their doctors. Currently, the “gold standard” for evaluating blood pressure is called “ambulatory blood pressure monitoring” (ABPM). It involves wearing a special monitor that checks BP every 15-60 minutes over 24 hours. The doctors then receive a report showing the average daytime BP and average nighttime BP. So what is considered next best? Research shows that home BP measurements are better than “usual-care” office BP measurements. Meaning, home BP measurements correlate better to the BP that is measured if one uses the fancy 24-hour ambulatory monitoring approach. Based on these facts, in 2008 the American Heart Association, American Society of Hypertension, and Preventive Cardiovascular Nurses Association issued a joint scientific statement calling for home BP measurements to become a routine component of BP measurement in people with known or suspected hypertension. They also suggested that clinicians review a week’s worth of home BP readings before making a clinical decision or changing a person’s medications. Now that I’ve made the case for checking BP carefully at home, let me share the six-step process you can use to assess your blood pressure management plan. 1.Obtain a high-quality home blood pressure monitor. Why: Studies have found that home-based measurements are better than office-based BP measurements. They better reflect a person’s BP over 24 hours. 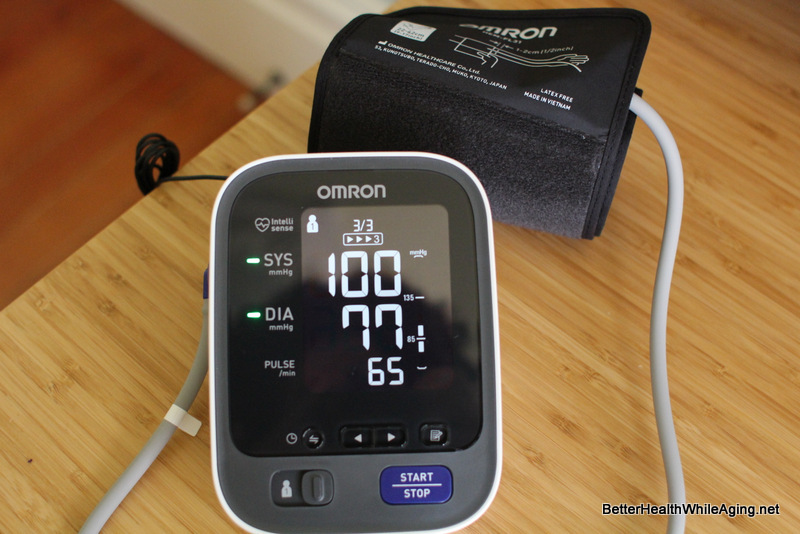 Notes: See “Choosing & Using a Home Blood Pressure Monitor” for more details on choosing a monitor, and why I recommend a monitor such as the Omron 786N. 2. Check blood pressure twice a day, every day for one week. Why: Since blood pressure is constantly changing a bit — or sometimes a lot — in the body, checking several days in a row means that you’ll have several readings that can be averaged. Checking in the morning and evening is recommended by many experts. This is because BP can vary during the day, especially in people who are taking BP medications. But if checking twice a day seems too hard, just check once a day. Experts also often say to check BP in the morning before any medications are taken. However, if there have been any concerns about falls, I like to review readings taken about an hour after medication. This is because I want to make sure the BP isn’t falling too low when a person takes their medication. Optional but helpful: Use a “three measurements in a row” technique if possible. The SPRINT trial measured BP by letting participants rest quietly for five minutes, and then having the monitor check the BP three times in a row, with a one minute pause between each check. Those three readings were then averaged into a reading for the day. 3. Make an up-to-date list of all current medications. Why: Your doctors will need to know exactly what medications you are taking, in order to evaluate your blood pressure treatment plan. Be sure to note if any medication is not being taken exactly as prescribed. It’s especially important for the doctors to know if an older person has been skipping any of the medications that affect BP. Note any concerns about side-effects, cost, or other concerns related to continuing the medication. 4. List the lifestyle approaches to lowering BP that you are following (or interested in). Why: Although prescription medications are the main way doctors often try to treat hypertension, many lifestyle changes have been shown to help lower BP as well. You’ll want to let your doctor know which of these you are using. Also let your doctor know if you’d be interested in incorporating any of these into your BP management plan. 5. Make an appointment to discuss blood pressure management with your usual doctor. Why: Your doctor can help you identify a good target blood pressure goal, and can help you develop a plan to reach that goal. Be sure to bring up any concerns regarding falls, or other potential side-effects of treatment. Research indicates that the biggest benefit is in getting systolic BP down to the 140s. A systolic BP target goal of <150 is a good starting place for most older adults, as recommended by major guidelines in 2013 and also by more recent high blood pressure guidelines issued in 2017. 6. Plan to follow-up on any changes to the plan. Why: Whatever you and your doctors decide to do, you’ll want to make a plan for seeing how your blood pressure responds to the changes. Note: Remember that experts say a week’s worth of home BP monitoring is more accurate than a follow-up BP check in the office. Now, this approach is more work than usual. It takes a little more time and effort than just going to your doctor and having them check your blood pressure. But the benefits make this time well spent. Think about it. You and your doctor get a more accurate picture of what is going on inside your body. You get to help create a blood pressure management plan that is just right for you. You may even help prevent some serious health problems. Like a heart attack or stroke, or a serious fall due to incorrect medication. No one likes the thought of letting a chronic condition get dangerously out of control. And no one likes to take more medication than they need to. You can help keep this from happening. Just follow this process for assessing a blood pressure management plan, and you’ll be on your way to confirming that you’re following a blood pressure management plan that’s right for you, or for your older parent. I found this very helpful for high blood pressure. What is considered as low. In other words, context is very important when it comes to low blood pressure. A systolic number less than 90 is almost always considered low. For older adults on BP medication, I don’t like to see their SBP less than 120, especially if there have been concerns about falls. Certain chronic health conditions, such as Parkinson’s disease, are associated with low blood pressure. You can learn more from the Mayo Clinic here: Low Blood Pressure. Good question! At 64 you are certainly older than when you were 50, and your healthcare should probably be a little different. Although geriatricians almost never care for people in their 60s, much of our knowledge base on modifying healthcare as people age is relevant from the sixties onwards. For instance, when people are in their sixties, it’s usually reasonable to be careful about medications that can affect thinking and memory. It also becomes more important to be careful about medications that can affect the kidneys, and the body becomes more vulnerable to side-effects in general. Glad you are finding the info helpful! I love your blog…use it a lot in postings where it gets a lot of views. Thank you, I’m glad you find this useful. You didn’t mention alcohol consumption and bp. Is moderate use a problem for bp? Alcohol can be tricky, with some observational studies linking moderate alcohol use to improved health outcomes and other studies questioning this. Studies have also found that high alcohol intake is associated with higher BP. In terms of moderate intake, a recent systematic review found that reducing alcohol improved BP in those with higher intake of alcohol but not in people who drank two or fewer drinks per day. Similarly, if you are concerned about her thinking, then she should be evaluated and checked for the many things that can diminish brain function. These include medication side-effects and more. See How to Diagnose & Treat Mild Cognitive Impairment. That’s not to say that BP medications might not have this effect on your husband; every person’s physiology is a little different, and some people will have unusual reactions to certain medications. But worsening blood sugar is not something that most people on BP meds should worry about. Overall, clinical research finds that treating people with diabetes and prediabetes for their high blood pressure improves health outcomes. I would recommend that you and your husband keep discussing with his doctors these concerns about the effect of his BP meds on his sugar, and more importantly, on his wellbeing. Perhaps with some additional effort, you’ll be able to find a BP management plan that helps keep his BP in a reasonable range without causing too many side-effects. It’s also important to remember that several lifestyle approaches can improve BP and blood sugar. Good luck! For the situation you have in mind, it sounds like the person is on the usual maximum dose of a certain BP medication, is tolerating it, but might need more BP medication because the BP is not yet at goal? The risk of falls due to BP meds is mainly a consideration when the SBP is lower than 120, or if the BP drops with standing. So it can be a good idea to check that BP sitting and standing. If the SBP is less than 130, then the clinician should be able to explain why he/she is proposing an increase in BP med dosing. Be sure to discuss with the clinician what the target BP is, and why. Congratulations on losing all that weight, that is a wonderful achievement. I would encourage you to read our two articles explaining the SPRINT blood pressure trial. This will help you understand whether it’s worthwhile for you to ask your doctor to help you reach a lower BP goal, such as less than SBP 140. In general, people get the most benefit from lowering BP from above 160 to the 140s. After that, many benefit from still lower BP, but the likelihood of benefit gets smaller and smaller…it’s diminishing returns, if you will. Re your doctor, if after home monitoring you find your SBP is still in the 150s, then you can remind your doctor that guidelines do recommend treating adults your age to SBP less than 150. Good luck! How can we treat hi pulse rate ? To treat an abnormally high pulse rate, it’s essential to start with a careful evaluation to figure out what is causing the high pulse rate. It’s also important to determine whether the high pulse rate is a very new problem, versus a chronic problem. Many things can cause a high pulse rate, including atrial fibrillation, other heart rhythm disorders, anemia, infection, substance withdrawal, medication side-effects, and more. To treat an elevated pulse rate, you have to treat the underlying cause. Sounds like your mother has had some significant heart failure in the past. Such people can be very sensitive to high blood pressure, because heart failure can get much worse when the heart has high blood pressure to push against. That said, it’s still important to not lower BP too much, even in heart failure. You can also try the half dose they suggest, and if it seems to make your mom tired and hypotensive again, call them right away and ask for revised advice. Generally, you are doing exactly the right thing, which is to monitor and record her BP and what happens in relation to her medications. This will help her doctors figure out the right combination of medications she should be on. Good luck! Here I found very insightful and also helpful information. My mom is 65 years old and she is facing high blood pressure (BP). This management plan will help me to assessing her BP. Thank you so much. Keep coming with such more informative. What about honey? I have heard, honey helps in controlling the blood flow in arteries. Also, taking honey regularly makes the heart stronger. Is it true? I’m not aware of any high-quality scientific research finding that honey improves cardiovascular outcomes. i have read recently (from a very credible source) that the idea of limiting salt to reduce high blood pressure has no scientific evidence and has some how become a fact that has no supporting evidence. can you comment? – some evidence suggests that some individuals are more salt-sensitive than others, when it comes to BP. It’s even possible that the same individual may have BP that is more or less salt-sensitive, depending on what else is going in that person’s body and health. Potassium has also been found, in some studies, to decrease blood pressure, see here. For individuals trying to reduce their blood pressure, I recommend considering a “trial of one”: make a dietary change to sodium (or potassium, but perhaps not both at the same time), and follow your blood pressure daily or weekly for several weeks. See what happens. I enjoyed your information. I’m printing it so I can share it with my family and friends. Thank you, glad to know it! Iam an Indian 83 yrs old. My normal b p used to be120 l80. Today I was feeling different so checked It . is 150 by 100 .iam given some mild medicine. By chance I came across your blog . It gave me so much support. It is very informative. Iam very clear what I have to do. Thank you very much. You don’t say how old you are, but a diastolic BP of 110 is quite high and would be unusual in an older adult. For that level of diastolic high blood pressure, I would recommend seeking medical advice sooner rather than later. Sorry that you are having high blood pressure problems. You are young whereas I am an expert in aging health, so I’m not even sure what are the most likely causes of such high BP in someone your age. You will need to see a health provider in person for further evaluation. Your BP is quite high so I would encourage you to go as soon as possible. For most people high blood pressure is a chronic problem, but sometimes there is an underlying cause that can be treated. It can also be greatly improved with the right lifestyle measures. Good luck. Edema is a known side-effect of certain calcium channel blockers; doesn’t affect everyone but certainly can be an issue, especially with higher doses of this type of BP medication. You may want to ask your nephrologist if that might be an option for you to try. You could also consider asking more questions about what they think may have caused your hypertensive emergency in the first place. There are many different classes of BP meds that they could try, but it’s impossible for me to say which would be appropriate to try next for your particular situation. You could also try looking for an online community of people with similar health problems, as this can be a good source of moral support. Good luck! Honestly I find that the best information is on Uptodate.com, there is a topic on treating high blood pressure in older adults. It’s written for professionals but summarizes all the important info, you can subscribe for 7 days for $20. If stress is an issue for you, you might want to consider working on relaxation therapies, mindfulness, and other non-drug methods to reduce stress. To find others online with similar health concerns, you could try SmartPatients or PatientsLikeMe. Good luck and thank you for joining our community! Re your pain, I’m not surprised that PT or exercise helped! They often do help if one is able to get there, gets a good therapist, and is able to stick with the exercises (no small feat when one is hurting in the first place). good luck! Thank you for your feedback, I’m very glad if you find this site useful. Hypoglycemia refers to low blood sugar, not low potassium. I am guessing that you meant to write you have no symptoms of hypokalemia (low potassium)? In general, symptoms are uncommon when the potassium level is over 3.0. However, some observational studies, such as this one, have found that mild hypokalemia is associated with an increased risk of poor health outcomes. So, you may want to discuss your BP medications further with your doctor. In particular, you may want to discuss the potential risks of mild hypokalemia, and you may also want to ask whether it might be possible for you to manage your BP adequately with two medications instead of three. Good luck! I am an active 79 years old male of very slight build and weigh about 100 lbs.Till age 71,I ran and walked 40- 50 miles per week. Recently, I started checking my blood pressure at about 5.0 p.m at home the readings can average as high as 142/67 with heart rate of about 58. At my annual exam in late July, my blood pressure was again 157/65/54 as checked by doctor with 6 consecutive readings and on my own BPmonitor. 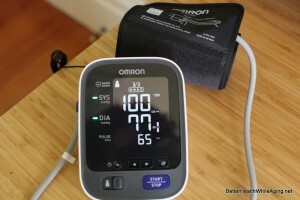 My doctor reviewed about 100 readings on home BP monitor and came to the conclusion that he was not concerned. I am known to be somewhat of an anxious person and somewhat high strung.Recently, I have started meditation with the hope of calming my mind. I would appreciate your comments and any recommendations about bringing my BP to normal level in the evening as well. Pl. note that I am a terrible typist and thus make spelling errors. Thank you. Look forward to your response. Congratulations on being proactive about your health. I am glad you are trying to address anxiety and being wound up. It certainly might help bring down your blood pressure, esp if you learn exercises related to deep breathing and other ways of inducing the body to physiologically relax. good luck! Hello Dr. Kernisan, I’m glad I found this website, I’ve got a couple of questions, I would be very grateful for your input. I just turned 45, a few weeks before that I suffered from a constant bad headache for a few days, I have one of those digital BP readers and it was 150/96, was quite shocked since my BP was very low 110/58 but I last took more than a year ago. My blood pressure was so low that I was denied donating blood several times when my mum had an accident. The tests came back all normal except for the cholesterol which is at 245- which is considered high risk according to the lab. The doctor gave me crestor medicine to combat the cholesterol and an additional aspirin 100 mg- I’m guessing as a blood thinner. Can we predict when was the hypertension triggered based on the cholesterol level test, in other words how long did I have it, when I asked him he dodged and said I might have always had high cholesterol, even though I only consume no fat dairy and rarely if ever eggs. I’m trying to establish a time frame of certain events. It’s been almost 3 weeks since my diagnosis, my BP fluctuates badly from 125/75 early mornings to as high as 140/90 midday, my average would be around 130/85. Is that normal? and what are my chances of developing drug-resistance on the long run that’d require more/different medications. Regarding the aspirin, the doctor said that it’s likely I’ll have to take it indefinitely. Wouldn’t that put me at a ver high risk of brain haemorrhage? With medication, what is my risk of developing complications(blindness, cardiovascular etc) and death from stroke/heart attack. I’m asking for euthanasia preparations and at what age? I can’t answer anyone’s health questions in detail over the Internet, but I can provide a few comments in response to your questions and concerns. It is indeed normal for BP to fluctuate throughout the day; the body’s control of blood pressure is a very dynamic process and so it can fairly quickly go up or down. We generally recommend that people check their home BP at about the same time every day; you may want to ask your doctor what time he or she would recommend for you. At age 45, there is still lots of time for lifestyle changes and other health management efforts to make a big difference in your outcomes. I believe the article above links to a cardiovascular risk calculator online; you could use that or something similar to get a ballpark estimate of your CV risk. Your doctor can also advise you. Good luck! Your question would probably be better addressed to a pharmacist or pharmacologist. I hadn’t attempted you describe, but it seems to me fairly low risk to try the switch. You will find out fairly quickly whether it works as well for her BP or not, and even if it’s slightly less effective, her provider could increase the dose a bit. For most garden-variety hypertension, research suggests that which BP medication to use is less important than reaching a certain goal lower BP. So we usually try to find a medication that is affordable and has minimal side-effects. Hope this helps! Fluctuations in BP throughout the day are pretty common; what you describe doesn’t sound exceptional or very worrisome, but of course it’s best to check on that with your doctor or someone who can examine you and review your health history. As you get established with your new doctor, you may want to discuss what your goal BP should be, and the likely benefits/risks of continuing on your current regimen. Good luck! I find the information and the comments of your readers very helpful. Am not taking any BP medications but it is good to know how to maintain an acceptable BP especially for the elderly. My blood pressure is usually between 180 – 190 systolic and 86 – 110 diastolic. I am 71 years old and have mitochondrial dysfunction. The symptoms are muscle weakness, chronic fatigue, rapid heartbeat when walking more than a few yards; hence I am extremely sedentary. I take 75g Losartan (UK brand?) plus 75g aspirin a day. My last blood pressure tests at the surgery and at the hospital didn’t seem to raise an eyebrow which really surprised me since they were very high as usual. Do you think this is due to my health condition? My feet and ankles are always swollen at the end of each day. NB: before my mitochondrial condition (12 years ago) I was pretty fit and active and enjoying my life immensely and my blood pressure was lower but still not within a healthy range. I am not very familiar with mitochondrial disorders, they are relatively uncommon. As far as I know, the symptoms usually relate to muscle problems. My guess would be that your high blood pressure is not particularly related. And even if it were related, that doesn’t explain why it shouldn’t be treated with anti-hypertensive medication or other approaches. I would recommend asking your health providers to discuss your high BP with you. If you would like to reduce your cardiovascular risk, you should perhaps tell them this is important to you, and then ask for their help addressing your high BP. Good luck! great information! my BP spikes at least 2 times a year 150/88 to 206/109 with no med or life style changes. no smoke, no drink, no fat. i double medications that seem to have no effect. then one day it is back to normal. i take the 3 different medications but it seems not to matter for the “spike” period which lasts about 2 weeks. i do the daily measurements at home plus i can tell when it’s high or low by the way i feel. (quite accurately) any ideas? hm. I’m not sure what to think of that. I have had patients suddenly develop much higher than usual blood pressure, but this pattern you describe of it happening about twice a year, lasting for two weeks, and then resolving on its own sounds unusual. I’m not sure what would cause such a phenomenon. I would recommend seeing your usual health provider next time it happens and seeing if that person can help you figure it out. Or you could consult with a physician who is a specialist in hypertension and secondary hypertension. Good luck! My grandmother is 83 years old. She recently just got home from the hospital after a high blood pressure. She is currently on medication. Her cardiologist asked us to monitor her BP in the morning and evening. In the morning, it’s high around >170 and same goes in the evening. After taking medicine, it normalizes. Can she move around the house? Like clean a bit, go for a shower or walk around the neighborhood? She does not like being stuck at home. What kind of movements is she allowed and not allowed to do? I wonder what’s going on with the spike of BP every morning and before bedtime. She does not feel anything. Does not have dizzy spells or chest pains. You should ask your grandmother’s doctors just to be sure. But in general, it should be fine to move around the house, even if she’s being treated for high BP. Be sure to let her doctors know if she experiences any symptoms when she exerts herself, such as shortness of breath, chest pain, or headache. The changes in BP you describe are sometimes caused by medication wearing off, but they can also be caused by other things affecting the body. Her doctors should be able to explain to you why her heart appears enlarged. Often this is related to having some heart failure, which can be caused by chronic high BP. It does sometimes get better with good BP treatment and other good cardiovascular care. Good luck! My father is 57, he had a recent accident and at the hospital he was diagnosed wih hypertension, his blood pressure was as high as 260/180. They monitored him for two days and sent us home, last bp was about 130/80. I was wondering, what should i look out for in the next few days/weeks? What are the current risks he has? I didnt get a clear answer from the doctors. Also, he is not obese, follows a healthy diet, doesnt smoke and always exercises. So it came as a shock for us. Also possible that it was high after his accident because he was stressed by the accident and by being in the hospital. I would certainly recommend continuing to check it at home. For just hypertension, there is usually not much to look out for in the way of symptoms, it’s usually more a matter of checking BP at home regularly (possibly every day) to make sure that it’s not too high or too low, and then this information can also be used to adjust BP meds. Very high BP can cause headache (or sometimes shortness of breath), and low BP can cause lightheadedness. Good luck! Your situation sounds complicated and it’s not clear to me that it’s related to blood pressure, although that may be playing a role. I would recommend getting a thorough evaluation, perhaps from a neurology specialist.